Hydraulic filters can be applied to the precise filtration in the recirculation lines of the hydraulic systems in order to protect the machineries. They can be manufactured from 3 microns to 100 microns. The production can be made according to the standard or special sizes that fits your needs. Nuvofil produces the equivalent internal elements of brands such Hydac, Argo, Donaldson, M.P., Filter Guard, Mann & Hummel, Internormen, Pall. They can be used in a wide range including mining industry, heavy construction equipment, hydraulic units and energy facilities. 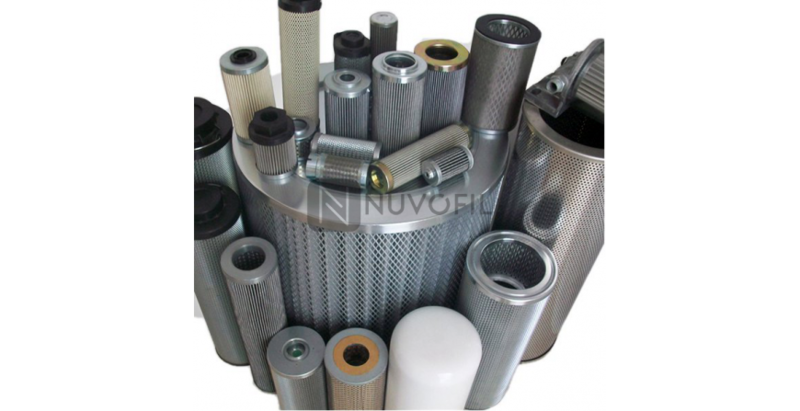 The quality of the produced hydraulic filter is determined by the used materials appropriate in filter production and by being produced in real microns. When producing hydraulic filters the material selection should be made according to the place of use. The produced filter should be designed to resist against high pressure. Experience is one of the most important factors in filter production. The filter which was produced by an expert will not only last longer but also it will prevent your machines and equipment from the unexpected hazards. As Nuvofil we provide our customers the experience and knowledge we have gained for many years.